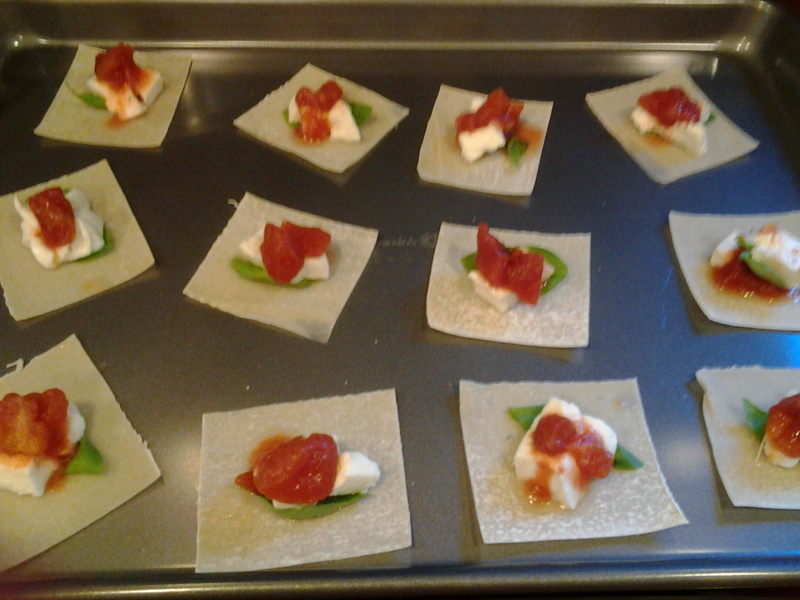 Homemade Pesto and raviolli fail ! Well I started out with good intentions. Just look at these pictures, Looks yummy huh lol it was a big fail. Using the egg roll wrappers for this is a No No. The picture I did not take was the huge mess it made in my pot when it fell apart….grrrr yea so we had hot dogs this night and i called it done. 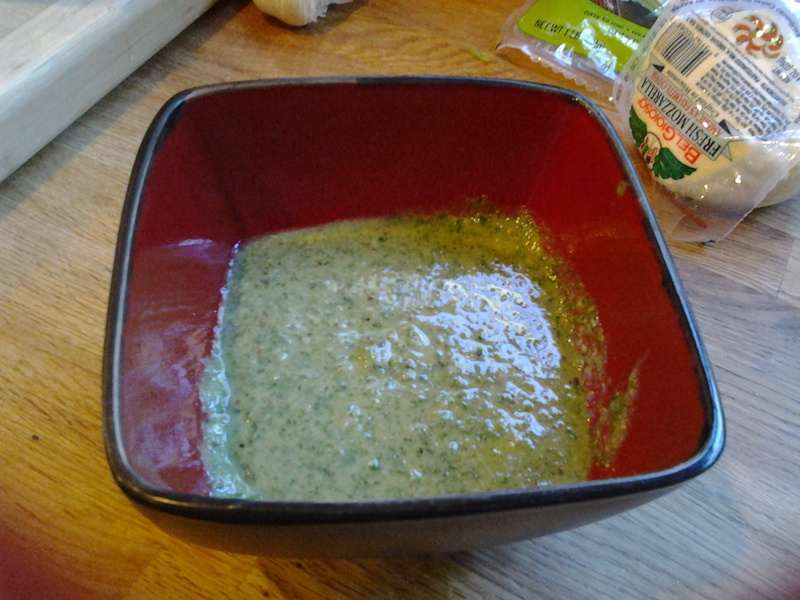 The ONE good thing i made was my pesto. 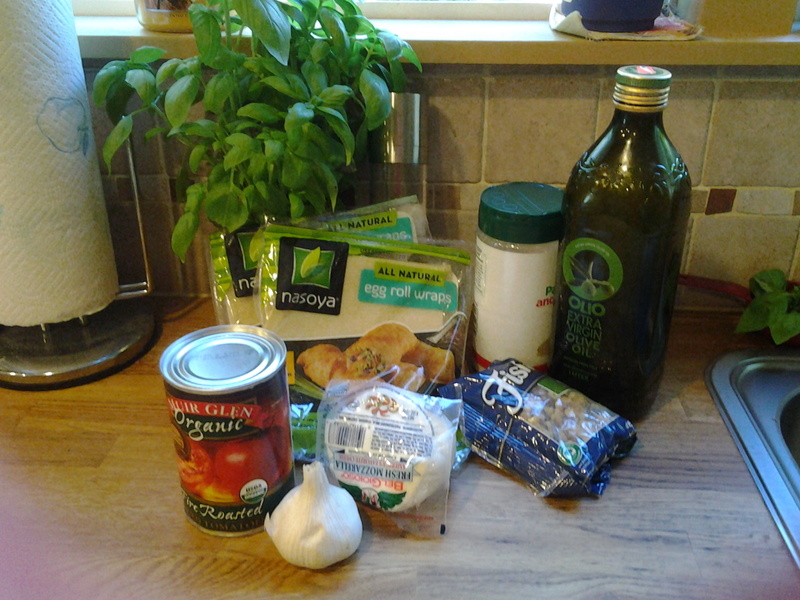 Once you have all off this together add each ingredient to the food processor adding in the oil last. Blend until smooth consistency and now you taste. You know how you like your pesto, a little thick or maybe a little cheesier at this point it is up to you what to add so play around with it! 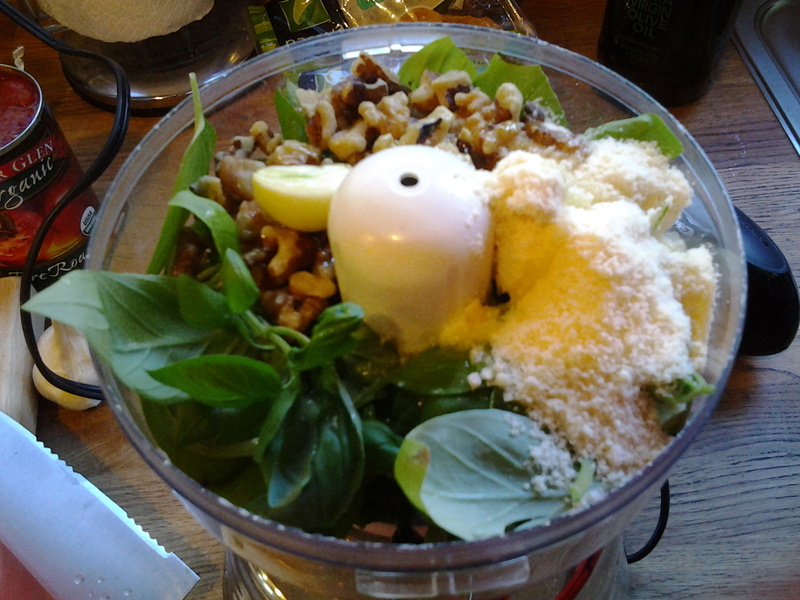 Place in an air tight container and use tonight or pesto can be froze as well for up to 6months. Enjoy!